It is the year 2000. You are a member of the leadership team for a large video rental company called Blockbuster and have no idea that the company’s ultimate demise will be sealed by what you unwittingly vote today. You feel a deep sense of pride in how this team has taken a fledgling company from its tenuous beginnings fifteen years ago to become a sprawling giant. One morning, at precisely 9:00 a.m., Blockbuster’s CEO, John Antioco calls a leadership meeting to order. Reed Hastings, the head of a startup called Netflix, has asked to make a short presentation and is invited in around 11:30. Hastings briefs everyone on their operations. Unlike Blockbuster, they have a very different business model. Netflix has no brick and mortar stores. All videos are now sent by mail but they plan on transitioning to online streaming soon. Blockbuster continues to expand. By 2004 it employs 84,300 people worldwide, 58,500 of those in the United States, and operates 9,094 stores.3 It dominates the industry. The problem is that the public is rapidly choosing the Netflix model over Blockbuster. By the time Blockbuster comes to its senses, it is too late to catch up.4 Some ill-conceived corporate decisions follow that are made in desperation. 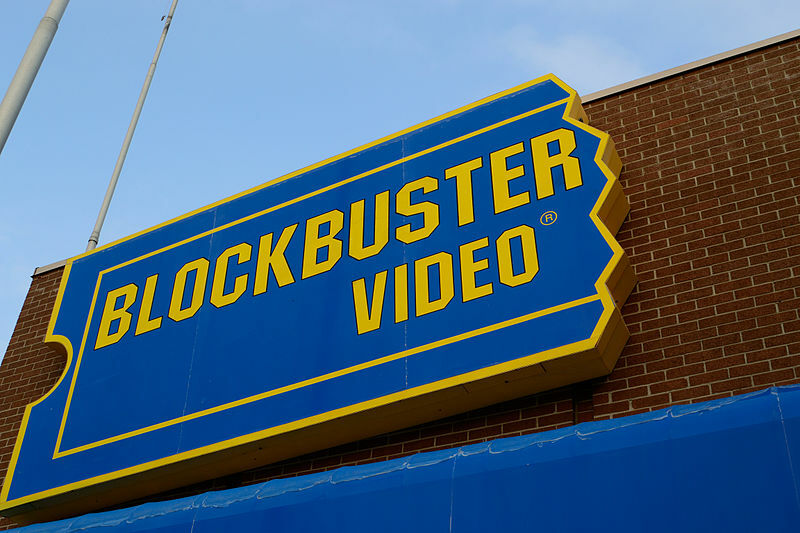 In 2010, Blockbuster files for bankruptcy. The Seventh-day Adventist Church is currently acting too much like Blockbuster and has its own Netflix to contend with. Like Blockbuster, the leadership doesn’t seem particularly alarmed at present. There has not been any obvious willingness to meet the threat by making major changes. Meanwhile, the danger is growing and intensifying. The tithing system, the financial lifeblood of the church, is particularly vulnerable. My dad’s generation has what might be called, “INSTITUTIONAL LOYALTY.” For them, institutions generally were a good thing, a trusted segment of society. The Federal Government had brought them out of the Great Depression, won the world war, and fostered the prosperity of the 1950s. Largely because of institutional loyalty, my dad always purchased Chevy cars. To do otherwise would be “disloyal.” He always put his money in the Cape Cod Bank and Trust whether it had the best service and interest rates or not. Seventh-day Adventists from that generation went to Sabbath School because that was what the denomination said they ought to do. They also gladly sent their tithe to the local conference without grumbling or second-guessing because that was both their perceived privilege and obligation. In stark contrast, many people from my generation and younger reject institutional loyalty. They are deeply distrustful of institutions, which, in too many cases, have been riddled with political machinations and corruption. Their generation has endured Vietnam, Watergate, Enron, trillion dollar bailouts for profit hungry mega-banks, etc. Seventh-day Adventists from this younger generation will simply stay home if Sabbath School is not perceived as worthwhile. “Ought to” is not even on the radar. 2. Recognize the problem and treat it with the urgency and seriousness that it deserves. We are already years behind. 3. Call laymen who are visionaries down from their seats in the nosebleed section and get them together with other laymen who are strategic planners in the corporate world. Ask them to sketch out options, under the guidance of the Holy Spirit and scripture, for a much more effective, efficient, fair system of denominational finance. 4. Understand that the needs of third world countries cannot be the first consideration when it comes to finances. First priority must be given to the health of the local churches in North America. They are the goose that laid the proverbial golden financial egg. The more robust the local congregation, the more mission fields will benefit. Those who care the most about overseas missions will care the most about the health of the local church in the United States and Canada. 5. Recognize that the deck is currently stacked against the local church budget. Tithe occupies a preeminent place in Adventism. It gets top billing while local offerings play only a supporting role. The higher organization’s portion is portrayed as mandatory while the local congregation’s portion is labeled voluntary. Not paying tithe is portrayed as robbing God while local giving is an individual choice. Use of such imbalanced language inevitably short-changes the local church, which can further alienate Modern Generations who view it as grossly unfair. 7. Stop trying to justify the tremendous denominational overhead that employs far too many people in multiple layers of church administration. Such inefficient use of tithe will never find support among those who choose value over blind obedience. 8. Don’t accept the naïve idea that church organizations are immune from societal or generational changes. Churches are made up of people, and people are inevitably influenced by the times in which they live. 9. Develop a clear, compelling vision of what a powerful, dynamic force the church unleashed can become if it is clear-eyed and courageous and let that vision sustain and guide you as the denomination faces some of the most consequential decisions in its history. Kim Johnson retired in 2014 as the Undertreasurer of the Florida Conference. He and his wife Ann live in Maitland, Florida. Kim has written a number of articles for SDA journals plus three books published by Pacific Press: The Gift, The Morning, and The Team. He has also written three sets of small group lessons for churches that can be viewed at www.transformyourchurch.com. He is also the author of eight "Life Guides" on CREATION Health.